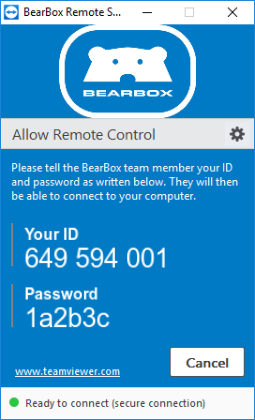 BearBox lets you watch a diagram of your live site over the internet. 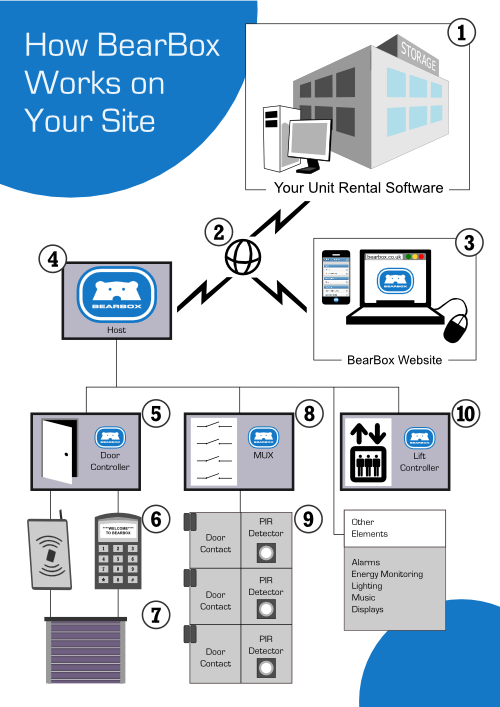 Go to Site Setup -> Site Status and you can see what's happening on all of your units, their rental state and whether the doors are closed or open. View Plan to see it in map form. Here you can see all of your units. Green ones are available, orange are rented. We also have the latest access logs overlaid in this panel. You will see this person has logged into site with the keypad and she's now opened up her unit. The plan automatically zooms to the last opened unit and because she's logged in, it just shows the door opening. Now she's only able to access a unit she has permission for. If she somehow manages to open a unit next door, for instance by forcing the door, we'll see an alarm go off and we hear this alarm sound.